In my last post I showed you all a set of cards that I’ve made Tony and Amber to send to their friends announcing their move in house (…..and town). 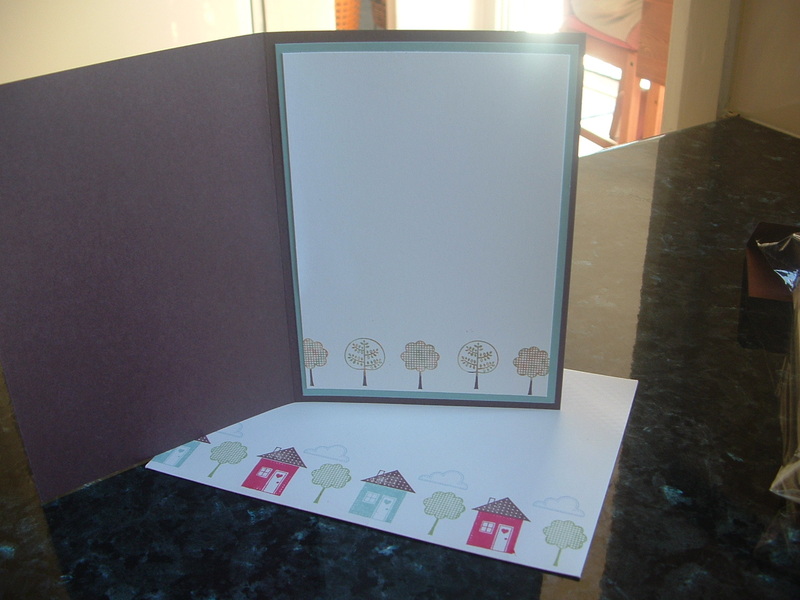 So now this is the card that I’ve made for them wishing them lots of luck in their new house and town. Had they purchased their own home I’d have probably changed the sentiment at the bottom of the card to Congratulations, however at the moment whilst they are still looking around for a property to buy, they are renting. This is the inside of the card together with the envelope. Once again I’ve chosen SU envelopes they are so wonderful to stamp on. Kinda cute huh? Do hope Tony and Amber like our gift, I sure have had lots of fun making them. My classes are beginning in Tenterfield and Stanthorpe in February. 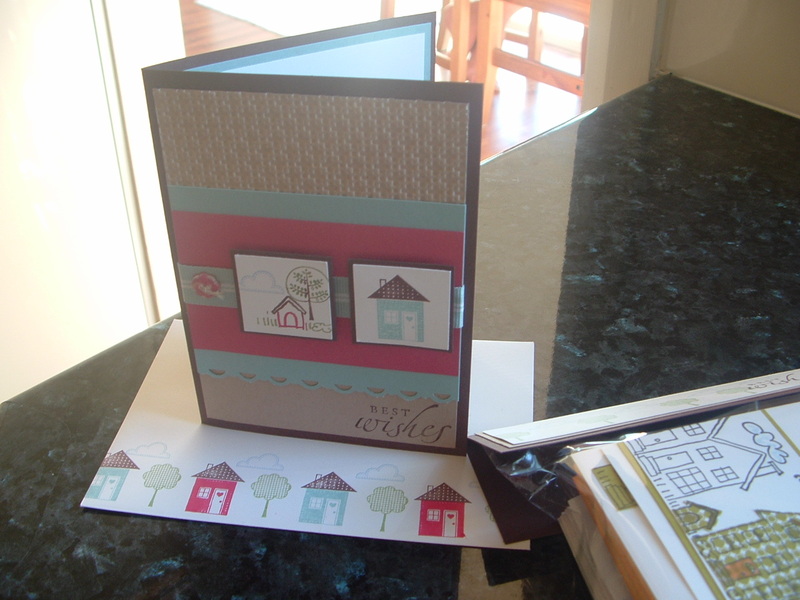 The first one that I’m planning is “Creating Backgrounds for cardmakers and scrapbookers”. Stay tuned for further details of venue and dates. Lovely work. I love that you’ve finished the cards off by stamping on the inside and the envelopes. Such a nice touch…. it just makes the whole thing so beautiful, from the getting the envelope to reading the inscription.